Just when you think Sale-A-Bration couldn't get any better…we went and made it even better! Between now and the end of March (while supplies last) we have added THREE new exciting products! Cute, meaningful, and original products just for YOU! Sale-A-Bration enables you to have more than one way to earn FREE products: shop, host, or join! Take full advantage of these second release products and the opportunity to earn FREE items through March 31. 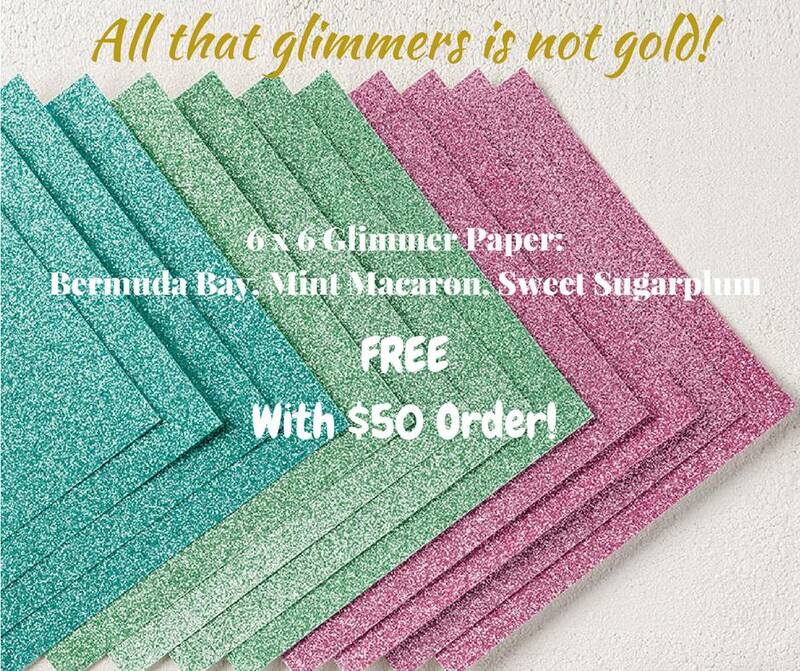 Add some sparkle and pizzazz to your projects with our 6" x 6" Glimmer Paper Assortment Pack--yours for FREE with a qualifying purchase during our 2017 Sale-A-Bration event! 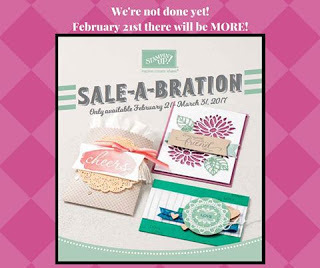 Sale-A-Bration ends March 31, so be sure to get your order in soon.